Based on true events, The Daughter’s Tale chronicles one of the most harrowing atrocities perpetrated by the Nazis during World War II: the 1944 massacre of all the inhabitants of Oradour-Sur-Glane, a small, idyllic village in the south of France. Heartbreaking and immersive, The Daughter's Tale is a beautifully crafted family saga of love, survival, and hope against all odds. 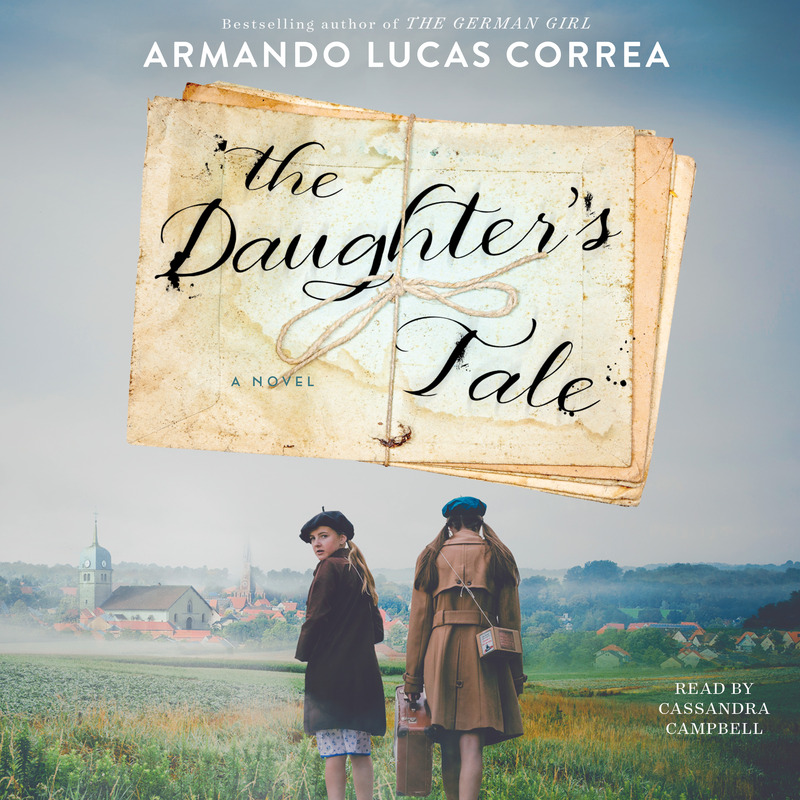 This reading group guide for The Daughter’s Tale includes an introduction, discussion questions, ideas for enhancing your book club, and a Q&A with author Armando Lucas Correa. The suggested questions are intended to help your reading group find new and interesting angles and topics for your discussion. We hope that these ideas will enrich your conversation and increase your enjoyment of the book. From the bestselling author of The German Girl, an unforgettable family saga exploring a hidden piece of World War II history and the lengths a mother will go to protect her children. BERLIN, 1939. Amanda Sternberg’s world is upended when the Nazis descend on Berlin, burning down her beloved family bookshop and sending her husband, Julius, to a concentration camp. Desperate to save her two daughters, she flees toward the south of France. Along the way a ship headed for Cuba offers a chance at escape, but at the dock Amanda is forced to make an impossible choice—she can only put one of her children onboard. Once in Haute-Vienne, Amanda and her remaining daughter’s brief freedom is inter­rupted by the arrival of Nazi forces, and Amanda finds herself in a labor camp where she must once again make a heroic sacrifice—save her daughter or save herself. NEW YORK, 2015. Eighty-year-old Elise Duval receives a call from a woman bearing letters from a time and country that she forced herself to forget. A French Catholic who arrived in New York after World War II, Elise is shocked to discover that the messages are from her mother, written in German during the war. Despite Elise’s best efforts to stave off her past, once the letters appear seven decades of secrets begin to unravel . . .
1. In the first scene, when Ida and Anna Rosen give Elise the box full of letters written by her mother so long ago, she calls this moment a “final act of forgetting” (p. 6). What do you think she means by that? 2. Near the end of Chapter 2, Amanda, Julius, and Hilde watch in horror as the books from the shop are burned in public in the Nazis’ campaign to squash any ideology that is “offensive, unpatriotic, or not sufficiently German” (p, 13). Hilde and Julius both watch sadly, but Amanda’s face is “frozen in a strange smile” (p. 24). Are you surprised by her response? What does this reaction say about her character? 3. In Julius’s farewell letter to his wife, he implores her to “never forget that we were happy once” (p. 45). But in The Daughter’s Tale, moments of happiness are few and far between. Consider the ways in which the novel asks us to reconsider our notion of happiness. Do you think that the memory of happiness and the promise of a future happiness are enough for Amanda? Why or why not? 4. When Amanda is packing up her few belongings, she chooses to take along her ebony box, botanical album, Star of David necklaces, and the jewelry that she uses as a bargaining chip in Lina’s escape from the camp. Discuss each of these items. What significance do they hold? Trace how each item plays a part in the salvation of her daughters. 5. Revisit the scene when Amanda decides to send Viera alone onto the ship, entrusting her in the care of the then-stranger Frau Meyer. How do you feel about her last-minute decision? 6. “For Claire, the war was just beginning. For Amanda, it was coming to an end” (p. 105). Compare Claire Duval to Amanda Sternberg. Did your opinion of either of them change over the course of the novel? In your response, consider Claire’s relationship with Lina and her decision to sacrifice herself in the town square. 7. What compels Amanda to write letters to Viera that might never reach her? She describes the act as a “pointless farce” but still “the words spilled out furiously, unrelenting” (p. 107). 8. Consider the role of grief in the novel. Does the lack of freedom, both inside and outside the camp, prevent the characters from being able to properly grieve? What about after the war, for those who survive? Is there any room for grief? Consider Amanda, Danielle, Lina, Berenice, and Marie-Louise in your response. 9. Revisit the scene on page 153 when Amanda slices her hand cutting potatoes. She sees the blood rushing out of her hand and “she smiled: she was still alive” (p. 153). What does this reaction say about the current state of her psyche? And how does it relate to the smile discussed in question 2? 10. The moment Amanda stabs Bertrand is shocking, in part because up until that moment she had seemed incapable of such violence. What drove Amanda to murder him? What does she lose, or gain, in this fatal act? 11. “They had lost all sense of time,” (p. 192) the narrator proclaims, after Danielle and Elise survive the bombing in the town square. In a literal sense, the trauma of the moment affects their sense of the hour of the day, but in a broader sense, the trauma of war renders time meaningless. Discuss what Marie-Louise means when she says “time is against us” (p. 219). 12. When the children discover the dying German soldier held captive inside the abbey, they are shocked. Danielle later thinks, “She had witnessed a crime, and that made her as guilty as the criminal or more, because she had said nothing” (p. 233). Do you agree or disagree with Danielle? How does this scene speak to the question of culpability explored in the novel? 13. Discuss the significance of the title. To which daughter does the title refer? Why wasn’t it called Lina’s Tale or Viera’s Tale or Amanda’s Tale, or even Elise’s Tale? 1. One of the first devastating losses we witness in The Daughter’s Tale is the burning of books. Books were a threat to the Nazis because they encouraged critical thinking and independence. Yet, Amanda finds it difficult to cast off the books she has spent her entire life loving, classic novels such as Madame Bovary, Crime and Punishment, and Anna Karenina. Select one of these banned books with your book club. Read the book and discuss why Amanda was drawn to it, and why the Nazis might have found it threatening to their mission. 2. When Lina is rescued by Claire and Father Marcel in the forest, she is forced to hide in an attic room to avoid the suspicion of the neighbors. Her life in the attic is lonely and difficult. When a beetle she named Jepri dies, Lina thinks to herself that “Jepri’s death meant the end of her childhood” (p. 183). This moment feels so poignant, and is reminiscent of Anne’s experience in The Diary of Anne Frank. Reread selections from Anne’s diary aloud with your book club. Do you hear an echo of Anne in Lina’s words? How does each girl view and cope with her circumstances? 3. Although The Daughter’s Tale is heartbreaking, there are small moments of joy throughout the novel. One such lighthearted moment occurs in Marie-Louise’s home after the war ends (p. 271). Host a gathering with your book club and listen to the song “Je voudrais un joli bateau” (1934) that Danielle and Elise dance to with Marie-Louise. How does the song make you feel? Do you find that music, like books or flowers, contains healing powers? This is your second novel set in Nazi-occupied Europe. How did the experience of writing this book compare to that of The German Girl? Did you find one more challenging than the other to write? I spent over a decade doing research about the MS Saint Louis and writing The German Girl. The process was emotionally draining, because of its history and because it was my first novel. With The Daughter’s Tale I enjoyed the process much more because I was able to play with the language; I avoided using first-person narrative, and I wrote with a lot less anxiety, if that’s even possible. Both The German Girl and The Daughter’s Tale explore themes of memory and trauma. What draws you to these themes? I grew up with the story of the Saint Louis from the time I was a young boy, though it was a forbidden topic in Cuba. My grandmother, the daughter of Spanish immigrants, was shocked when Cuba refused entry to the Jewish refugees onboard the Saint Louis. 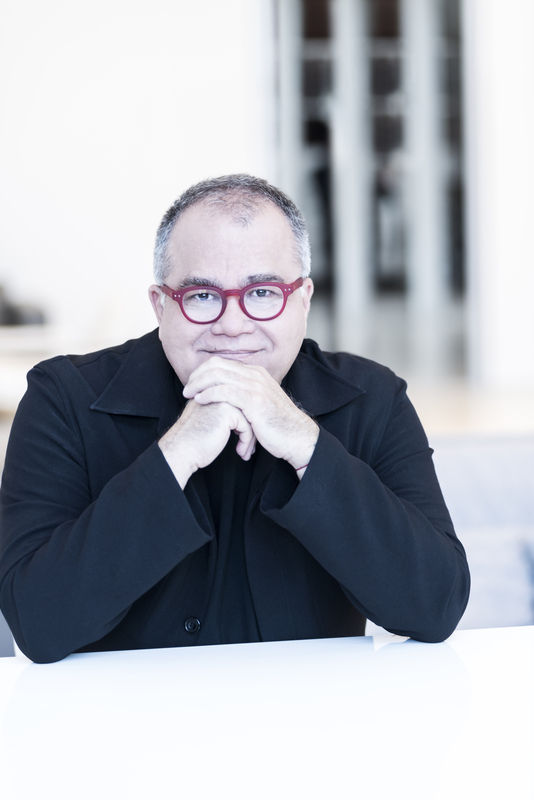 I too am a product of exile; I’m an immigrant as well. I came to the U.S., leaving my family behind, leaving my books. When you’re exiled, you try to set down roots, but you always live—consciously or not—with the fear of loss. I’ve always been interested in historical events, mainly from WWII, which show human vileness and are forgotten in time. They cannot be forgotten. I’m afraid of forgetting. Discuss the structure of the narrative. Why did you decide to bookend the story with the point of view of Elise as an older woman? Why not just set the entire novel in the past? One always lives with a secret. Sometimes it’s huge, sometimes it’s very small. But as insignificant as it may seem, it’s still a secret. We safeguard them and tend to forget them. I wanted that to be the premise. In my case, I tend to forget the negative, the sad, the illnesses. First because resentment cannot survive in me; I can’t deal with the energy around resentment. Second because it’s healthier, and a defense mechanism. In the book, I wanted to sum it all up in one secret: forgetting, pain, guilt, betrayal. The only problem is that secrets and lies are always exposed, brought to light, in the end. Why did you choose to write about the horrific crimes committed in Oradour-sur-Glane? What was the research process like? Did you uncover any facts that were particularly surprising? There are many events from WWII that tend to be glossed over, forgotten. For example, the Saint Louis tragedy is just now being revived. Why did we avoid talking about the Saint Louis? It’s one thing to say Hitler killed more than six million Jews but to face the fact that the rest of the world turned its face away from that monstrosity, let those crimes unfold in front of them—and that it was Cuba, the U.S., and Canada who sent more than nine hundred Jewish refugees aboard the Saint Louis to their death—is equally painful. Some say it’s better to forget. The same happened with Oradour-sur-Glane. The SS ordered and directed the massacre of more than six hundred people who were burnt alive inside a church. But we choose to ignore that many French soldiers, under Nazi command, perpetrated that crime. I looked for documents, read many books about the massacre in Oradour. I saw the before and after images of the town, but when I visited and spent the day among the ruins I was crushed by their dimension. It was a city, not a couple of buildings and a church. When you go there, you see the impact of the crime is so much greater. Then, there’s the cemetery where you find the graves of all the people who perished. Entire families. The Daughter’s Tale takes on the paradoxes of love and war. For example, Amanda muses “she had always loved her [daughter], and that it was precisely that love which had led her to abandon her” (p. 158). Do you view paradox as a central theme in the novel? Is the paradox of these moments due to the circumstances of war, or do you think paradoxes like these are simply part of the human condition? Paradoxes are an essential part of human existence. Abandonment can be proof of love. As parents, we spend our lives sacrificing for our children. There are sacrifices that lead to loss. I don’t think I could survive it. I admire Amanda so much. She lost her parents, then her beloved library, then her husband. To save her daughters, she had to abandon them. Truly, I could not. After Amanda sacrifices her life to save Lina’s, Lina takes over as the narrator of the novel. Discuss this transition. How do you get in the right headspace to switch character perspectives? Lina is the hope. Lina is in essence the result of all of Amanda’s sacrifices. They were worth it because even in death, Amanda had saved Viera, even though she wasn’t certain of it at the time. But she did the best she could. The good thing is that Lina can say goodbye knowing the truth. I spent four years writing a novel, The Silence in Her Eyes, a psychological thriller. When I finished The German Girl, to give myself a break, I would work on Silence. It was my therapy, my way of returning to normalcy. When I finished The Daughter’s Tale, I went back to Silence and spent a year finishing it. It takes place in New York, in the present, in my apartment building, in my neighborhood. It begins with a twenty-eight-year-old woman who suffers from akinetopsia, a strange yet irreversible neurological illness that makes her blind to movement. She sees the world only in still images; she registers movement as trails of light. The night her mother passes away, she returns to her apartment all alone, and her world takes a turn from which she will never recover. Now I’m taking some time to finish the last part of what I call my WWII trilogy and hopefully The Silence in Her Eyes will give my readers a respite before it comes out. Well, sort of a respite, because I’m sure that some readers won’t be able to sleep for a few days after reading it.